Three more great renewable energy projects to report: one in England, one in Scotland and one in Wales. The National Trust, working together with Good Energy, has just installed the largest marine energy heat pump in the UK, rated at 300kW. 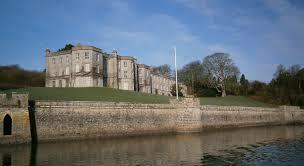 Plas Newydd is a large 18th Century mansion on the Anglesey shore of the Menai Straits. On some winter days it consumed as much as 1,500 litres of oil a day. Now all its heating needs are met by the heat pump, saving £40,000 per year on an investment of £600,000. This is the first major step of an ambitious plan by the National Trust to generate half of their energy requirements from renewables, and to reduce their overall energy needs by 20%, by 2020. Dingwall Wind Coop, in Ross-shire, have just got their 250kW turbine up and spinning. This is the first 100% community owned turbine in Scotland. 179 members have raised the £856,000 through a community share offer organised by Sharenergy, and 90% of the members are from the Dingwall area. They expect to make a good return on investment, and still be able to put £8,000 per year into local good causes and projects. Sharenergy currently have a share offer open to establish a second solar coop in Leominster, in Herefordshire, where I live. This is a 90kW array, probably the first on a new build school and one of the largest on a school roof in UK. As of today they’ve raised £31,500 of the £150,000 they need to do this project. As soon as I’ve written this blog I’ll be reaching for my cheque book! This is a great project where the intention is to get the pupils really involved in learning about energy use and solar energy in particular. Instead of the usual £250 minimum stake, for people buying shares on behalf of school children in Herefordshire they’ll have a special £100 minimum stake. The climate talks in Bonn may have got bogged down in an endless quagmire of procedural nonsense but many organisations and communities are just getting on and doing great practical projects. More power to them! 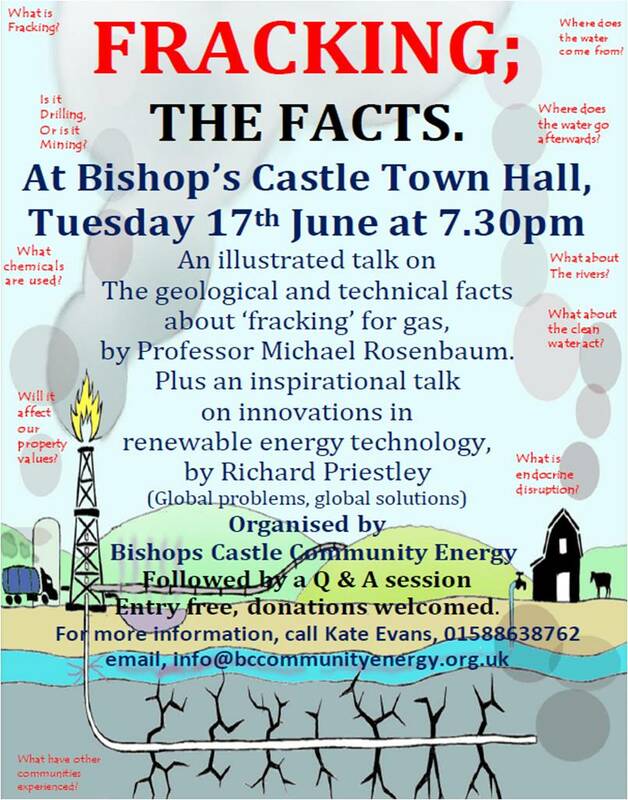 This entry was posted in Climate Change, Energy, Local on 21 June 2014 by Richard. This entry was posted in Energy, Environmental, Global, Local on 11 June 2014 by Richard. 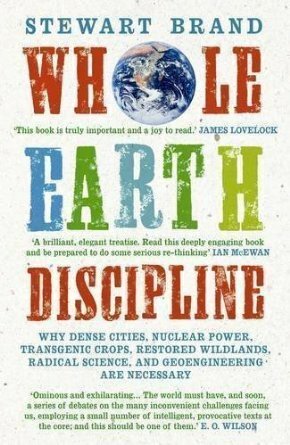 I’ve just finished reading Stewart Brand’s 2009 book, Whole Earth Discipline. I love the breadth of vision, the passion and the enthusiasm with which he writes, just as back in the 1970s I loved the magazine Co-Evolution Quarterly that he founded and contributed to. In this book he states: ‘We are as gods and HAVE to get good at it’. Yes, absolutely, I agree. Humanity has unwittingly influenced the biosphere in profound ways, and now it is our responsibility to manage it back to health. It is a system of immense complexity. Nobody has all the answers. We need to carefully and scientifically keep assessing what we do and modify our policies and practices to fit our evolving understanding to the situation. One of the things I most like about this latest book is that it profoundly challenges a lot of the positions and beliefs I’ve long held. That is good. There are also sections of the book where I think he is less well informed, and I’d like the opportunity to challenge him. I think he might welcome this too. Early in the book he states ‘In keeping with professional forecaster practice, my opinions are strongly stated and loosely held – strongly stated so that clients can get at them to conjure with, loosely held so that facts and the persuasive arguments of others can get at them and change them.’ I like this attitude. On many issues, and particularly in the USA, things have become so polarized, so ideologically driven that masses of people stubbornly hang on to obsolete understandings of the world. Examples abound. It’s easy to see the mistakes of others: how daft the climate change sceptics refusal to look carefully at the science! I can’t yet see any issues where this book has forced me into a complete u-turn, but quite a few issues where I feel my position become more nuanced, perhaps a little less absolute. Over coming months I’ll explore several of these, from biotechnology and urbanisation where I feel I’ve learnt a lot from Stewart Brand, to renewable energy where I feel I could usefully help educate him! This entry was posted in Book Review on 3 June 2014 by Richard.